RoutineHub • ALL THE GIFs! They say a picture is worth a thousand words. So here’s alot that are self explanatory of what this shortcut is bringing forth. Majestic ALL THE GIFs! shortcut brings you superiority over others to express yourself in animated GIFs! A modern shortcut for the antiquated format. There’s not a chat thread in existence that a GIF (or five) can’t make better. Is there even a point if there isn’t a hilarious looping image attached? I’d argue not. 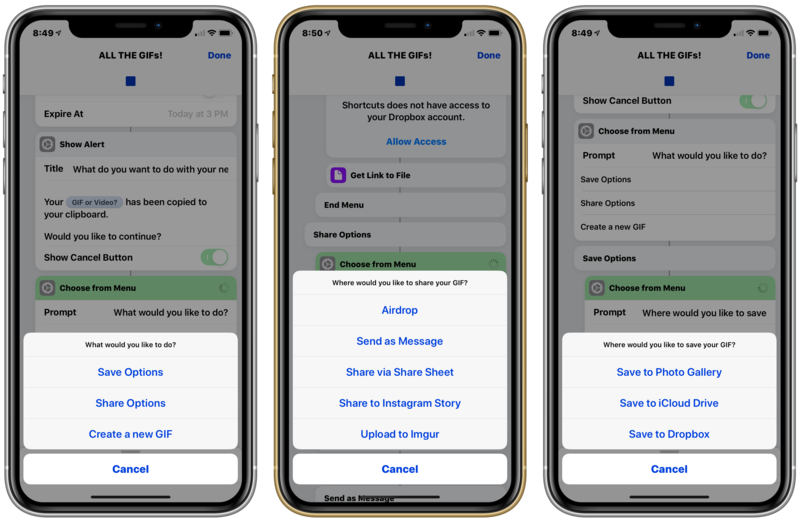 Whether you’re new to GIFs or consider yourself a connoisseur of the highest caliber, this shortcut is a must-have if you want to take your conversations and GIFs to the next level! This Shortcut is hosted and available exclusively on RoutineHub.co. If you find this shortcut somewhere else, it's a fake. Please let me know in the comments below if you found this Shortcut somewhere else so that I can take action. Thanks. 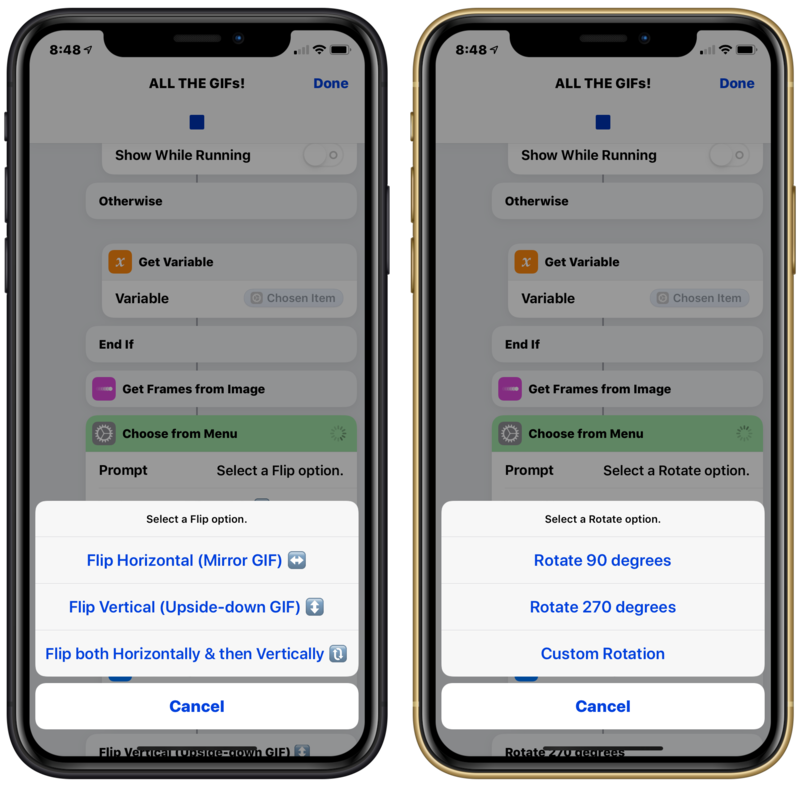 6.2 - April 23, 2019, 12:37 a.m.
- Improved and Optimized the Save & Share Menu options. 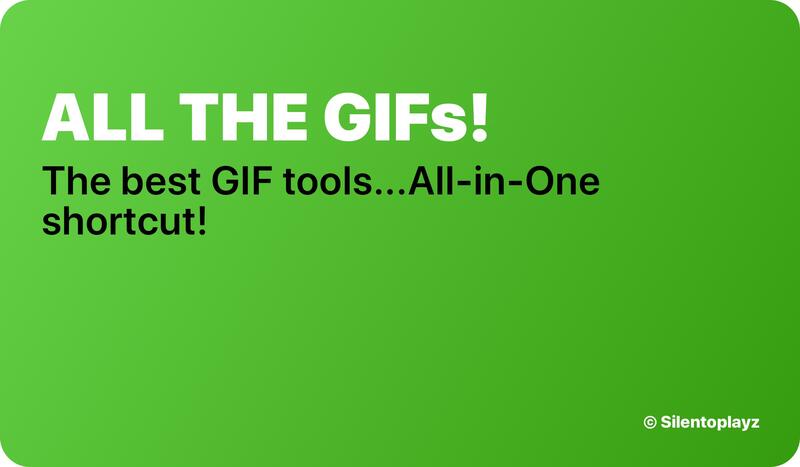 You can Save and/or Share your created GIF and still have the ability to Save and/or Share your created GIF after the first time! Once you are done, you can then choose to Create a new GIF. - Added credits to D3W10 in the “About this Shortcut & Credits” menu option in the “Settings” menu. This will be fixed in v4.6 Edit: v4.6 has been released and this fix has been applied. Thanks for your feedback!